The band formed when vocalist Chris Volz answered an ad in a local paper placed by guitarist Jason Daunt, looking for a singer for an alternative/industrial band. The band's rhythm section progressed through several line-ups but solidified with the addition of bassist Ryan Jurhs in 1996. That same year the band recorded their first independent record American Arrogance. Because they were low on money, the band ordered everything they needed to record from the Musician's Friend catalog, then returned it using the 30-day return policy. Their album gave them the opportunity to open for acts including Fear Factory and Econoline Crush. A local radio station, The Fox, broadcast the songs from Flaw's indie disc, giving them further notoriety. Two more independent records, 1998's self titled album Flaw and 2000's Drama were later produced. 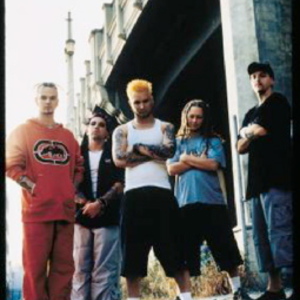 Flaw signed to Universal/Republic Records in 2000, and proceeded to release their debut album, Through the Eyes in 2001. The album eventually topped the Billboard Heatseekers Chart, due to moderate rotation of their music videos "Payback" and "Whole" on MTV2 and rock radio stations. In 2002, the band played at Ozzfest. In 2004, after three years without releasing a new album, Flaw returned to the studio to begin recording their second studio album, Endangered Species. The band had parted ways with guitarist Jason Daunt and drummer Chris Ballinger and added Micah Havertape as their new drummer. The only single released from Endangered Species was "Recognize" and it received little amount of radio play. A music video was supposed to be filmed for the single but it never happened. Endangered Species debuted at #42 on the Billboard Top 200, selling 27,527 copies in its first week. Flaw was dropped by their label Universal Records in late 2004 and eventually broke up. The band's final days left many people angry. The band had scheduled a few shows within their surrounding states, and when the break-up news began to circulate, no one from the band stepped forward to confirm or deny it. Some reportedly drove hundreds of miles to see the shows only to be told by club managers that the band unexpectedly canceled without notice. The group's website had, at the time, still displayed a notice which read "Flaw is still playing". After Flaw broke up, Chris Volz eventually started up an entirely new band with drummer Ivan Arnold who had played with Flaw from 1998 to 2000. The new band, Five Bolt Main, signed with Rock Ridge Records and released a studio album and a live album before disbanding. After leaving Flaw, Jason Daunt played in another Louisville band called Into Another, as well as going back to school for a law degree. Chris Ballinger played in a few bands and Lance Arny began playing guitar for a band called Nailgun Strategy in Louisville. Micah Havertape went on to play with Black Market Hero alongside past 40 Below Summer members. Ryan Jurhs was also temporarily played them as well. In 2006, Flaw reunited with four of the founding members: Chris Volz, Jason Daunt, Lance Arny, and Chris Ballinger. The band recruited bassist Alex Cando, formerly of Five.Bolt.Main, on bass. On March 11, 2007, at Headliner's Music Hall in Louisville, Kentucky, the band played its first show since their breakup, sharing the stage with Powerman 5000 before heading out on their own reunion tour with Arny's other band, Nailgun Strategy. On this tour, Flaw announced that they hoped to release an album in 2007 and were trying to find the right record company to sign with. Neither of those things ultimately happened that year. The band went on to have numerous line-up changes and internal problems throughout 2007 and 2008. Daunt was only been able to make a couple of the shows due to his work as a full-time lawyer. For all the shows Daunt was unable to make, Andy Russ from Arny's other band, Nailgun Strategy, performed in Daunt's place. Eventually, Daunt left the band and was replaced full-time by Russ. Alex Cando also left, and was replaced by past member Ryan Juhrs. Internal strife continued, with Volz and Daunt leaving to form a new band called Foundation. At this point the other three members of Flaw. Ballinger, Arny, and Juhrs, tried to carry on as Flaw, but Daunt and Volz reclaimed the name Flaw and applied it to their new band. In December 2008 a MySpace bulletin was posted by Flaw stating that all future concert dates had been canceled due to conflicts between Volz and current members of the band. However, in 2009, the band later came forward claiming that former "hired guns" in Flaw hacked the official MySpace and wrote this false information. They revealed that they were still working on a new album, and had a new drummer Sean Rued. Their third album, Home Grown Studio Sessions was later independently released for digital download via the website DiGiSTATION on November 16. 2009, and at all concerts since its release. The band continued to tour into 2010, with Chris Marple filling in on bass until Ryan Jurhs could return due to work/scheduling conflict. However, in early july of 2010, signs of internal problems arose with Russ leaving for "health and personal reasons". In Mid July of 2010 Arny once again brought Chris Marple (Caldera & Kentucky Death Wish) back into the picture. This time Marple would be playing guitar, along with Arny, Jurhs, Volz & Rued to complete the full line up once again. Flaw tour dates were scheduled immediately & posted from July through October of 2010. During the course of each run, these tours were with TANTRIC/BURN HALO/SATURATE. Unfortunately, somewhere during the course of these 3 tours, there was animosity between certain members & Flaw canceled all remaining tour dates with no explanation, on November 2, 2010.